As we know, when we refer to value we are speaking about how light or dark a shape or form, or part of a shape or form are. Generally when we refer to value we are speaking comparatively, that is, how light or dark something is compared to something else. However, by using a value scale we can begin to assign specific values to things and to talk about value in a more precise way. 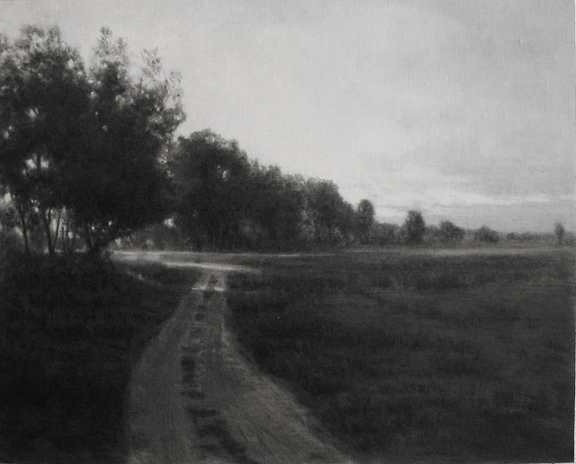 Generally speaking, values serve three functions in the art of landscape painting. First, using the correct values can help us create the illusion of outdoor space, air, atmosphere, and forms receding into the picture plane and to generally create a convincing depiction of outdoor Nature. This is Carlson’s Theory of Angles and aerial perspective. Secondly, values can be used to create the illusion of three dimensions in specific forms like tree trunks or rocks or any other objects we might find in the landscape. This is called modeling, shading or “turning form”. Third, values are used to create the overall structure of the painting, organizing them in such a way as to create a pleasing design. This is composition. Of course, all these functions are interrelated. When we choose a certain value scheme to depict a sunny day for example, we are also making choices about how the values we use will help us show the solidity of forms and create a pleasing design. But, for purposes of study, it is useful to separate these functions and study them independently until they are all fully understood and can be applied together. P.S. Want to build a solid foundation for your landscape paintings? 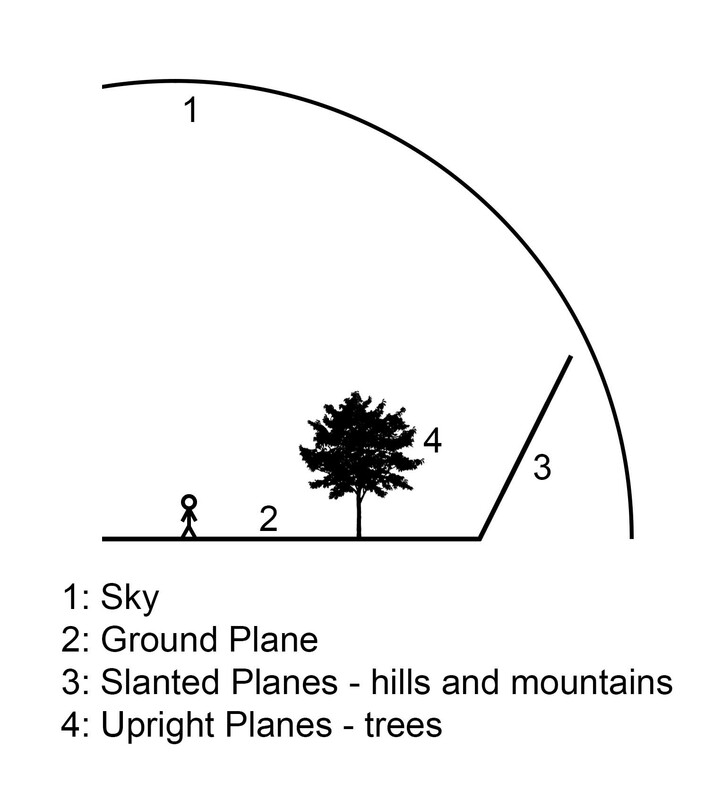 In our online class Understanding Values in the Landscape I we study in depth Carlson’s Theory of Angles, atmospheric perspective and how each affects the values in every part of the landscape. In UnderstandingValues in the Landscape II students will learn the all important skill of how to “key” a landscape , using a particular value range to depict different times of day and lighting conditions. Join us!